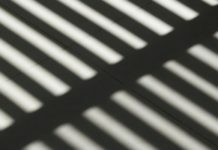 Despite attempts by the Islamist government in Turkey to hush up the investigation into the assassination of Russian Ambassador Andrei Karlov and falsely charge people who had nothing to do with the murder to divert attention elsewhere, there are still some serious clues left in the indictment that help one trace the footsteps of the masterminds and instigators who radicalized the Turkish police officer who killed the Russian envoy. 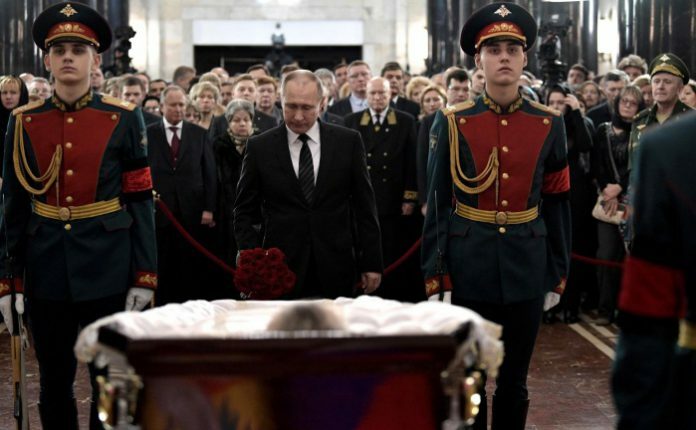 Perhaps under pressure from Russian investigators who kept a close eye on the probe, Erdoğan’s partisan prosecutors failed to cover up at least some of the evidence linking hitman Mevlüt Mert Altıntaş, the 22-year-old riot police officer who gunned down the Russian diplomat, to radical cleric Nurettin (Nureddin) Yıldız. 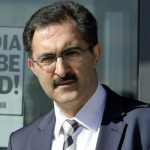 This extremist preacher is often described as the family cleric of Erdoğan who paraded as the keynote speaker at both youth events organized by the ruling Justice and Development Party (AKP) and conferences and lectures organized by the Turkey Youth Foundation (TUGVA), which is run by Erdoğan’s family. He even travelled to Syria to meet militant groups and often preached in support of violent jihadist campaigns around the world. The indictment includes findings about how Altıntaş frequented lectures given by Yıldız’s own NGO, the Social Fabric Foundation (Sosyal Doku Vakfı). 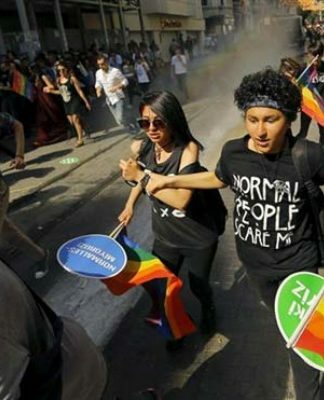 The Istanbul-based foundation set up a volunteer group in Ankara under the name of Sosyal Doku Ankara Gönüllüleri Grubu (Social Fabric Ankara Volunteers Group). Altıntaş was in contact with this volunteer group starting in 2014, attending study circles led by Yıldız, and quickly became radicalized. Yet the prosecutor and investigators did not bother to follow up on this trail and look more closely into the jihadist cleric’s network. Instead they went after a political opponent of Erdoğan, Fethullah Gülen, in a scapegoating tactic with no real evidence to back up any of the ridiculous charges. A day before he killed the Russian ambassador, the assassin called İbrahim Bilal Oduncu, a lead point man in Ankara who works for a religious sect called Ismailağa, which is based in Istanbul. He made contact with Bilal and his brothers Murat Oduncu and Muhammed Selman Oduncu in 2015. The İsmailağa community, a Sunni sect, operates out of the conservative Fatih district and is led by an ailing retired imam, Mahmut Ustaosmanoğlu. The community was divided into several groups in the wake of two-high profile assassinations of Ustaosmanoğlu’s son-in-law in 1998 and a community imam in 2006. The group is mainly supportive of the Erdoğan regime. Altıntaş told Oduncu that he had a collection of religious books including jihadist reading material written by cleric Yıldız and wanted to donate them for the use of others because he was reassigned to a post in Diyarbakir and had to move. The prosecutor did not bother investigating the İsmailağa link, either, and in fact listed Oduncu as a witness rather than a suspect, which is quite unusual in such criminal investigations. The indictment included the assassin’s WhatsApp messages to Oduncu but took out the responses Oduncu gave to the killer, which is also quite bizarre. It is clear the prosecutor wanted to suppress information about Oduncu and the İsmailağa links to Altıntaş, limiting himself to one-way messages. The books delivered to Oduncu by Altıntaş listed in the indictment include not only the jihadist cleric Yıldız’s book but also others written by prominent al-Qaeda leaders. According to a report dated Sept. 21, 2018 and incorporated in the indictment, Altıntaş possessed several jihadist books written by Bülent Tokgöz, who used the assumed name of Yahya Konuk in his writings. Tokgöz is a battle-hardened, long-time jihadist who travelled to Chechnya, Bosnia and Kashmir in the 1990s. He was arrested along with five other Turkish nationals on Jan. 31, 2001 as part of a crackdown on radical religious groups. Tokgöz and his friends (İzzettin Tunç, Talip Kara, Burhan Kavuncu and two businessmen identified only by their first names, Halil and Salim) were responsible for planting bombs in front of the Russian Consulate General in Istanbul on Nov. 15, 1999 and Russia’s Aeroflot’s ticket office in the Beyoğlu district of the same city on Dec. 8, 1999. Therefore, it is not surprising that Karlov’s assassin was inspired by Tokgöz, who had taken part in terrorist acts against Russian interests in the past. Tokgöz remains at large today and is believed to be in conflict zones outside of Turkey. Another book the assassin had was popular jihadist reading material about Syria and resistance groups there written by Abdülkadir Şen, who was a suspect in a 2014 al-Qaeda probe in Turkey. Şen was exposed while moving supplies to jihadist groups in Syria, but the investigation, which also uncovered Turkey’s National Intelligence Organization’s (MIT) close cooperation with al-Qaeda groups in Syria, was quickly hushed up by the Erdoğan government. In the same case file Abdülkadir’s brother, İbrahim Şen, a convicted al-Qaeda terrorist who was running a recruitment and trafficking scheme between Turkey and Syria, was also a suspect. İbrahim Şen was detained in Pakistan on alleged al-Qaeda links and transferred to Guantanamo, where he was kept until 2005, when US officials decided to turn him over to Turkey. He was arrested in January 2014 and indicted in October 2014 but let go at the first hearing of the trial in October 2014. His brother Abdülkadir also escaped criminal charges thanks to Erdoğan’s political cover. Other books the Russian ambassador’s killer handed over to his contact in Ankara included translated volumes written by Abu Yahya al-Libi, one of the most senior figures in al-Qaeda who was killed in June 2012 in a drone attack in Pakistan, and Anwar al-Awlaki, known as the father of global jihad and a founding member of al-Qaeda who was killed in 1989 in Pakistan. By the way, these and many other jihadist books are freely sold in Turkey while many publications that are critical of the Erdoğan government are banned, seized and collected from bookshelves, and in some cases even the publishing houses were unlawfully seized. It says a great deal about the approach of the Turkish government when it comes to violent jihadist literature. 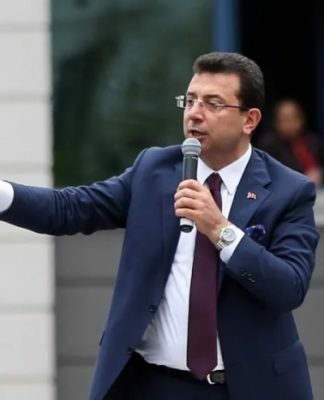 Despite the fact that all this showed a classic pattern of radicalization, the Turkish prosecutor claimed Altıntaş was not actually involved with these religious groups and did not pursue leads that showed the trail to Erdoğan’s family cleric and a pro-Erdoğan religious group. 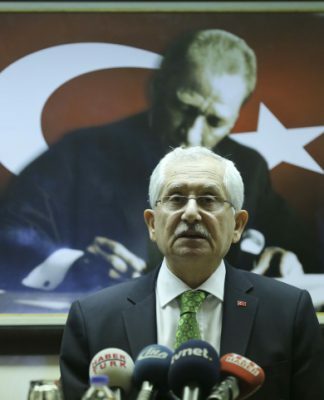 Perhaps that was his mandate from the beginning, and he was not to touch any associate of Erdoğan no matter how pivotal a role they played in nurturing an assassin. Another religious outfit the assassin made contact with in 2015 was the Ankara-based Merhamet Eğitim ve Kültür Derneği (Mercy Education and Culture Association), which is led by Salafist Turkish cleric Mehmet Emin Akın. This man was detained by police in May 2017 as part of an Islamic State in Iraq and the Levant (ISIL) probe but was quickly released after the Erdoğan government’s intervention amid an outcry from his own supporters. Interestingly enough, his own website published a letter Akin received from the jailed Tokgöz, whose books inspired the Russian ambassador’s assassin. The letter was sent to Akın on March 22, 2002, when Tokgöz was serving time in a prison in central Eskisehir province. Akın addressed the jihadist Tokgöz as “brother,” while the latter called the former Aziz Ağabeyim ve Hocam (Respected Elder Brother and My Preacher). In other words, both the man who tried to blow up the Russian Consulate with 35 kilograms of explosives in 1999 and the man who killed the Russian ambassador in 2016 had the same master. The Turkish prosecutor also ignored this link and did not pursue any probe into Altıntaş’s contacts with the cleric Akın. What Tokgöz failed to accomplish in taking down a high-profile Russian target in Turkey was accomplished by Altıntaş, who read Tokgöz’s jihadist books. The investigation into his finances did not show large money transfers, and the charges on four credit cards issued by various banks did not point to any strange activity, either. But his donations to several front jihadist organizations were detailed in the indictment, which further confirms the view that he was very much prone to jihadist ideologies. 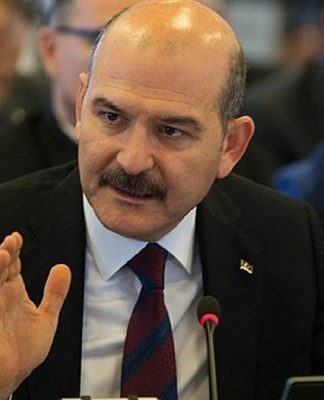 For example, on April 25, 2016 he sent money to al-Qaeda-affiliated front NGO the Öncü Nesil Humanitarian Relief Association (Öncü Nesil İnsani Yardım Derneği). This association was named in a UN Security Council document submitted by Russia on Feb. 10, 2016 as an organization that sends arms and supplies to terrorist groups in Syria. In other words, the assassin of the Russian ambassador to Turkey was financing a group identified by Russia as a supporter of terrorism. Another organization that the killer donated money to was the Aid and Solidarity Association for the Poor (Fukara Yardımlaşma ve Dayanışma Derneği, or Fukara-Der), which was set up on Sept. 11, 2013 in the city of Seyhan in southeastern Adana province. 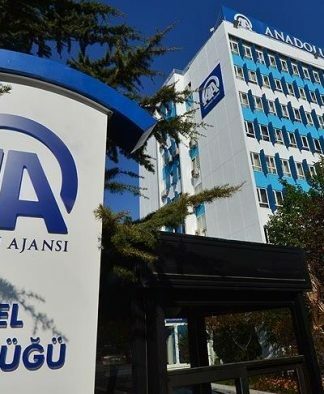 Altıntaş sent money to this al-Qaeda-linked NGO on March 31, 2016 according to an investigation report prepared by the Financial Crimes Investigation Board (MASAK). I wrote about this NGO extensively before and exposed how its primary purpose is to help take care of al-Qaeda-affiliated jihadist fighting groups, mainly the Nusra Front and its offshoots, Ahrar al-Sham and Jaish al-Fatah, as well as their families in both Turkey and Syria. It provides logistical and moral support to jihadist groups and their families and supplies goods and services on demand from the ground in Syrian cities such as Idlib, Jarablus, al-Bab and other places in the north of Syria where jihadist groups have been fighting. Fukara-Der came under investigation in the Netherlands for soliciting funds without permission and on allegations that the money was diverted to jihadists. Despite all this evidence, the Turkish prosecutor deliberately avoided investigating any of these leads. He did not look into people and organizations that were instrumental in the assassin’s radicalization. Instead, acting on political signals from the Erdoğan government, the prosecutor simply targeted the regime’s prominent critic, Fethullah Gülen, and some members of his movement and accused them of plotting the murder. However, the 650-page indictment shows no real evidence to support these false claims. Most of the indictment is a rehash of old allegations against Gülen that were thrown out in 2008 after decades-old prosecutions and trials against the moderate cleric. Erdoğan renewed these allegations against Gülen after the two had a falling out in the aftermath of Gülen’s criticism of the Erdoğan government for endorsing a flotilla in May 2010 that was organized by the Foundation for Human Rights and Freedoms and Humanitarian Relief (İnsan Hak ve Hürriyetleri ve İnsani Yardım Vakfı, or IHH). Incidentally, the IHH was also named by Russia as a front outfit that sends arms and supplies to jihadist groups to Syria with the help of the Erdoğan government. The divergence between Gülen and Erdoğan further widened after the latter was incriminated in major corruption probes in December 2013 that exposed how Erdoğan and his family were in bed with controversial Saudi businessman Yasin Al-Qadi, then listed as an al-Qaeda financier by both the UN Security Council sanction committee and the US Treasury. 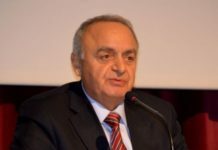 Erdoğan started to blame all wrongdoings on this US-based cleric including a failed coup in July 2016, which was in fact a false flag orchestrated by Erdoğan’s intelligence and military chiefs to set up the opposition for mass persecution, to transform Turkey’s parliamentary democracy into a one-man regime and to push for a military incursion into Syria to support rebels against the Bashar al-Assad government. Now Erdoğan wants his prosecutor to pin the blame for the murder of the Russian ambassador on Gülen as well but fails terribly in this endeavor. The main allegations in the indictment fell apart when held up to careful scrutiny and in fact raises more questions about the Erdoğan government’s motives and why it has been allowing so many radicals and militant organizations to proliferate in Turkey and beyond. I don’t believe the Russians buy the Erdoğan government’s story on the murder; Russian intelligence services have been closely monitoring how the Turkish government has been in bed with jihadist outfits for some time now. But for the time being the Russians do not want to be seen as vocal critics of Erdoğan when Moscow needs Ankara for a tactical perspective in consolidating its gains in the Middle East while having Turkey play a spoiler role in the NATO alliance. The larger strategic considerations in the long haul have pushed the real investigation into the assassination to the back burner, at least for now.